The removal of the viaducts in Vancouver is an exciting opportunity that will surpass the significance of not building a highway through the city. While Toronto seems stuck with its elevated “freeway” cutting off the city from the lake, Vancouver has a tremendous opportunity to right a bit of terrible urban planning and highway engineering that tore apart communities. 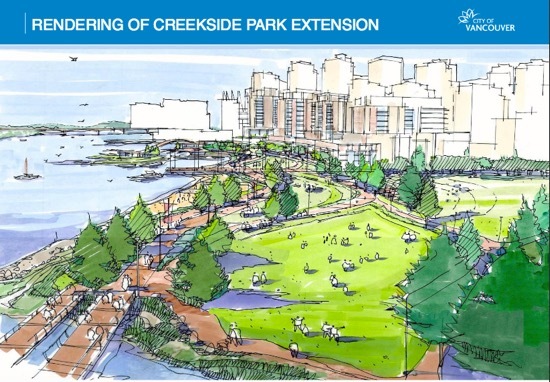 If the Viaducts are removed there is a chance to do a lot of city building including more park space, affordable housing and better transportation infrastructure. And what is not to like about taking down a bit of concrete to build a park? The time to do this project is urgently needed now as the cost of seismically upgrading the structures or demolishing them will continued to increase and there is still a lot of detailed planning to be done. The removal the viaducts will be funded in a variety of ways including development revenues such as Development Cost Levies (DCL) and Community Amenity Contributions (CAC), partnerships, the capital plan and by other levels of government. A part from the cost of the project there are many exciting benefits that the project will provide to Vancouver. -better infrastructure for people walking and riding bikes. -an opportunity to reconcile the cultural history of the area. Vancouver traffic engineers will fully replace the capacity of the viaducts with a new road network, which means we will be taking different routes and modes than we do now, but with whole lot more benefits than what we are enjoying now. Categorized under: active transportation, City of Vancouver, habitat restoration, housing, Landscape Arthitecture, planning, Vanpoli. Tagged with: Removal of Viaducts, Vanpoli, viaducts. ← An open letter to Mayor and Council in support for proposed rezoning of 1754-1772 Pendrell St.